Martin Wickramasinghe was born on the 29th of May in the year 1890 in the Southern village of Koggala, bounded on one side by the reef – fringed sea, and on the other by the large lake into which the numerous tributaries of the Koggala Oya drain. The landscapes of the sea, lake studded with little islands, the flora and fauna, the forested hinterland, and the changing patterns of life and culture of the people of the village were the background of his early years, that Martin Wickramasinghe later immortalized in his novels and short stories and autobiographical writings. The search for roots is the central theme in Martin Wickramasinghe’s writings on the culture and life of the people of Sri Lanka. He imaginatively explored and applied modern knowledge in natural and social sciences, literature, linguistics, the arts, philosophy, education, and Buddhism and comparative religion to reach beyond the superficial emotionalism of vulgar nationalism, and guide us to the enduring roots of our common national identity that exists in the folk life and folk culture of Sri Lanka..
Martin Wickramasinghe’s vision was primarily nurtured in the tolerant, humane, realistic attitude to life traditional to Buddhist folk culture. He valued the intellectual freedom and independence inspired by the Buddha’s ‘Kalama Sutta’ which he saw as a tradition to question tradition, not unlike the Western scientific attitude. Through his writings he consistently opposed dogmatism, casuistry, elitism and oppression in any form, be it cultural, religious, political or social. In a haapy mood with his wife. Martin Wickramasinghe died on the 23rd of July 1976. His works have been translated and published in English, Hindi, Tamil, Russian, Chinese, Romanian, Dutch, German, French and Japanese languages. Landmark Events in Martin Wickramasinghe's Life. Birth on the 29th of May, the only son of Lamahewage Don Bastian Wickramasinghe and Magalle Balapitiya Liyanage Thochchohamy. 1895 - Learns the letters of the Sinhala Alphabet from Andiris Gurunanse. 1897 - Goes to the village temple for traditional instructions. Starts to explore the marine life of the Koggala Reef situated about a quarter mile from his home. 1900 - Goes to the Buonavista School in Galle to start his formal education. 1901 - Death of his father Don Bastian Wickramasinghe. 1904 - Goes to the Sinhala medium School in Ahangama. 1907 - Leaves Carolis Silva and joins a commissions agency run by John Silva. 1910 - Death of his mother, Magalle Blapitiya Liyanage Thochchohamy. 1915 - Becomes book-keeper in Cornelis Silva's shop in Batticaloa. 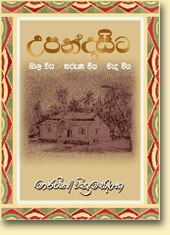 1920 - Joins the Editorial Staff of "Dinamina" the Sinhala national daily. 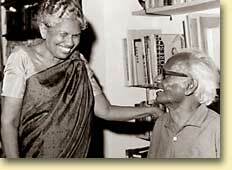 1925 - Marries Kataluwe Balage Prema de Silva on the 30th of November. dies 3 months after birth. 1927 - Leaves "Dinamina" and joins "Lakmina". 1928 - Birth of son Sarath Kusum on 26th of December. 1929 - Birth of son Vasantha Kumara on 16th of July. 1931 - Birth of daughter Rupa Malathie on 4th February. "Dinamina" the Sinhala national daily. 1935 - Birth of daughter Usha on September 20th. 1940 - Birth of daughter Unie on 13th September. for an military air base. 1946 - Resigns from the post of Editor of "Dinamina". to enable children to go to the university. 1953 - Awarded the MBE. by her Majesty Queen Elizabeth in person. Appointed member of the Radio Broadcasting Commission. paper article for the year "The fall of the Brahmin Class". enabling a student from Karandeniya to obtain a university education. 1960 - Awarded the Honorary Ph.D by the Vidyodaya University. Tagore on the invitation of the Indian Government. 1964 - Given the UNESCO Award for his book "The Rise of the Soviet Land". "Golden Peacock" Award. at the International Film Festival in New Delhi. Awarded the D.Lit. by Vidyalankara University (Kelaniya University). D.Lit by the University of Colombo. where the Buddha trod as a guest of the Indian Government.